Paraguay is 90% Roman Catholic, 6% Protestant, 1% other Christian and 3% other or none. Pablo lives in a big city called Asuncion, the capital city of Paraguay [Help children locate Asuncion, Paraguay, on a map of South America.] 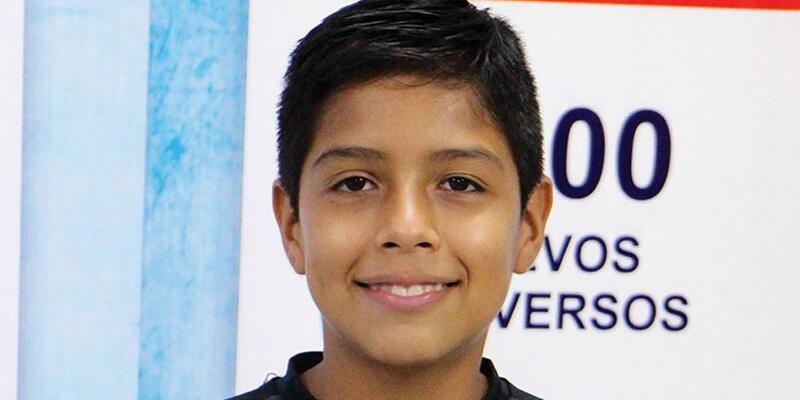 Ever since he was a little boy, Pablo loved to go to Sabbath School and church every Sabbath. When he was very small, Pablo enjoyed sitting in the front row of the church and drawing pictures of the preacher. Pablo was a very good artist and his pictures captured the expressions on the pastor’s face as he preached. As he drew, Pablo listened intently to the sermon, and by the time he was 6 years old his Sabbath School teacher invited him to help preach a sermon at his church. She gave Pablo his part of the sermon, and after three days he was ready to give the sermon. Afterwards, the Sabbath School teacher told Pablo that he was a very good preacher and that she believed he had a calling from God to preach. Pablo was so surprised and happy! Several months later, Pablo received another invitation to preach—this time not at his home church. After that, Pablo began getting more and more invitations to preach at many other places—small churches and big ones. Sometimes he is also invited to tell people about Jesus at big evangelistic meetings held throughout the country of Paraguay. The Bible is very important to Pablo and his family because they know that it is God’s Word for everyone. Each morning and evening they have worship time where they sing, pray, and read from God’s word. This time has helped Pablo learn many important things from the Bible that he can share with others. “I like to preach about Joseph or Daniel; or sometimes about kids who don’t want to obey their parents and then I compare their experiences with what the Bible says,” Pablo explains. Pablo wants to encourage more children to share God’s Word with others. “We need to take our Bibles and go and talk to other people about God,” he says. 1.Be sure that you know Jesus and that He is your very best friend. Every day take time to pray and read the Bible, or ask someone else to read it to you. The very first book of the Bible, Genesis (which means “beginnings”), is a good place to start, because that’s where we learn about our beginnings! It also has lots of interesting stories in it from which we may learn many important lessons. 2.If your family doesn’t have a special time for worship, ask your mom or dad, grandparent, or another adult in your home if you could have worship together each day. Even in just 15 minutes you could sing a song, pray, and read from the Bible or a good devotional book. 3.When you pray, ask Jesus to help you find someone who needs to know about Him, and ask Him to help you to know what to say. Maybe there is someone in your neighborhood who is lonely or sad? Maybe there is a friend at school whom you can help? When you go to the store with your mom or dad or another trusted adult, you can smile and say something nice to the cashier. 4.Talk with your pastor or Sabbath School teacher about having a special “Children’s Sabbath” at your church where children present the worship service. Ask your teacher or pastor for help preparing the sermon. What other ideas do you have for sharing Jesus and His word with others?